Reducing food waste is an environmental priority everyone can get behind, from households to businesses, and composting is one of the first-choice ways to deal with food waste on-premises. According to an Environment, Food and Rural Affairs Select Committee report, the UK generates an estimated 10 million tonnes of food and drink waste every year, and six million tonnes of this is avoidable. But when it is not possible to prevent surplus food, redistribute it to other humans or use it as animal feed, then composting is one of the best options to deal with food waste at home and in businesses. The Commons Select Committee report says: "The best way of treating food waste is to recycle it by sending it to anaerobic digestion or composting." Only after this is considered should other methods be used, such as energy recovery by incineration, and then last of all by incineration with no energy recovery, or by sending it to landfill. Composting is one of the most direct ways to deal with unavoidable food waste at home, including food remnants like eggshells, vegetable peelings, plastic-free teabags and other inedible items. All you need is a space to build a compost heap or a suitable container to use as a compost bin - for this, many different sized and coloured wheelie bins are available similar to those used for council kerbside collections. To get started, you just need to insert a wire rack to create a drainage space below your compost for excess fluids, and in wormeries, a second wire rack to keep fresh compostable materials above the already-digested compost layer where the worms live. Why not use kerbside compost collections? While some local authorities collect kitchen waste, the Commons Select Committee report found that in 2016-17 these were only available to 44% of English households, compared with 99% of Welsh households. Packaging charity Wrap told the committee: "In Wales, pretty much every single household can recycle food and they probably recycle twice as much food as England." On-site composting is naturally more efficient than kerbside compost collections - you can use your own compost to fertilise your own garden, with no additional carbon emissions from the heavy trucks used to collect kerbside domestic waste. It is increasingly possible to compost food packaging, so you can not only reduce food waste, but also reduce the packaging waste associated with the food you buy. The UK Plastics Pact Roadmap to 2025 sets out several aims, including an increased use of compostable plastic packaging that breaks down much faster once discarded. Design single-use plastics out of circulation or find ways to reuse them where possible. Make 100% of plastic packaging reusable, recyclable or compostable. Recycle or compost at least 70% of plastic packaging. Include at least 30% recycled plastic in new packaging. The Roadmap is already reaching key milestones. By April 2019, it pledges to explore the key opportunities for using compostable plastic packaging, while by 2022 all rigid plastic packaging and bottles used by Wrap members should be recyclable. While work is ongoing to use more compostable plastic packaging, there are already ways to compost food packaging waste at home. This includes egg cartons and any plain cardboard, which can be shredded and added to your compost bin - it will have a drying effect, so can be effective to reduce water levels in compost that is too wet. Paper waste can only be recycled a handful of times before the individual fibres get too weak to create new paper, so composting paper packaging waste is a good alternative that can reduce food packaging waste while also managing moisture in your compost heap. 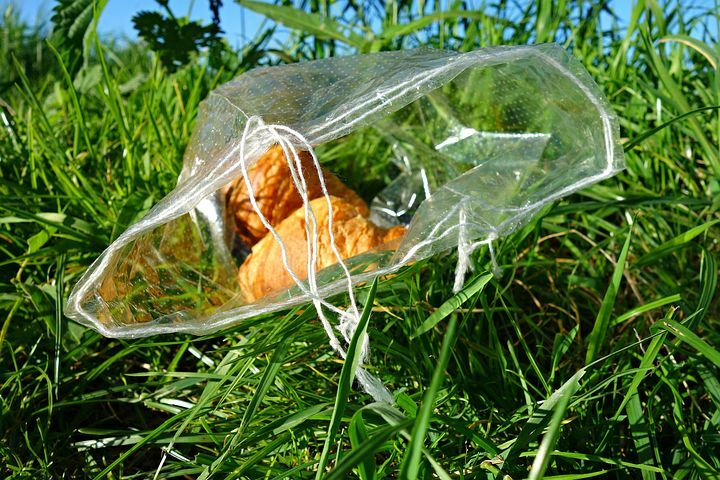 With packaging manufacturers working on everything from compostable cartons to teabag-like compostable 'coffee bags', this is tying up one of the last remaining loose threads in closed-loop food waste and food packaging recycling.